Choosing the right architect is essential to any successful luxury home development. Yet, where do you start in your search for the perfect partner? To help you out we are going to outline three things you should always consider when choosing an architect – and then we’ll offer you a sure-fire way to select the right one. 1: What sort of architect do you want? It is vital that you choose an architect who has experience in the type of project you have in mind. Ask to see their portfolio – and always follow up their references. If you are looking for inspiration to make the most of your space, get an architect who is strong on creativity. If you have a strong idea of what you want, get an architect who has an eye for detail and is good at getting things done. If you foresee problems with planning permission or building control, get an architect who is familiar with local planning policy and attitudes in your local authority, and has a track record of successful applications. If you live in a listed building, get an architect with experience of similar developments. If you want a modern finish, don’t go for an architect who is more traditional in outlook. 2: What level of service do you need? You also need to decide what level of service you want from the architect. On a luxury home project, you are most likely to want the architect to administer the contract and select the principal contractor. But, there are other options, so it’s always worth enquiring that these are available from the architects you review. Creative designs which help determine the budget and get planning permission (normally charged at an hourly rate). Full detailed architectural plans (usually charged at a percentage rate of projected budget). Over-seeing the entire construction process until completion, including tendering for a builder and administering the contract (normally charged at a higher percentage of actual budget). Do bear in mind that if you want your architect to keep a close eye on your building work, they should ideally live relatively nearby, so they can visit the site regularly. One of the most important considerations is that you feel you can comfortably work with the architect. You need to feel a ‘click’ in that first meeting: if you don’t seem to connect it’s going to be really hard to build a rapport, let alone build your dream dwelling. At your first meeting, bring some photos or magazine clippings of work that you like. Observe their reaction to these, and assess how well they generally listen and respond to you. Don’t forget your architect is also going to need to build a relationship with your contractor. You are looking for someone who can be part of a team – there needs to be a lot of give and take if you are going to achieve your vision. In narrowing down your search for an architect nothing can beat recommendations. If you need some help in finding local architects who specialise in the type of residential project you have in mind, we can help. If you are looking for architects with a proven track record of working well with their customers and their contractors – then we’d be more than happy to put you in touch with some. 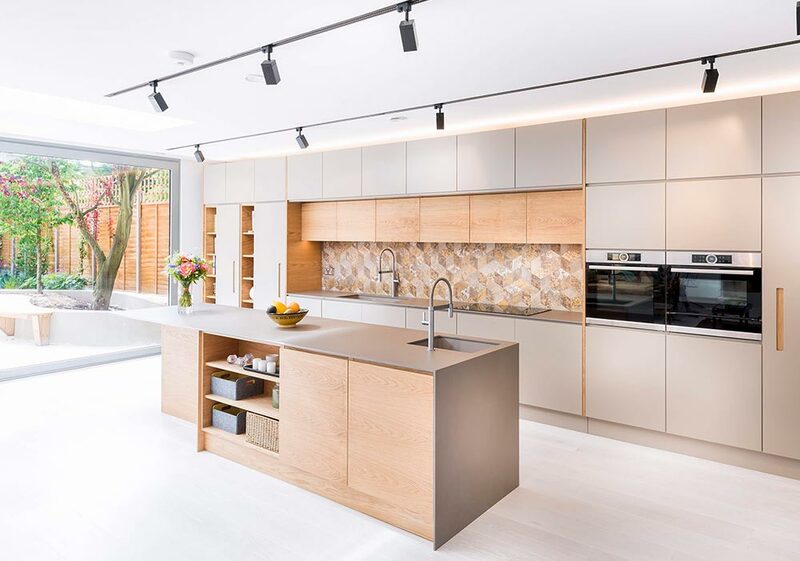 Over the years we have worked on a number of high-end residential projects and can quickly pinpoint the right architect to talk to for your project. Of course, the decision is yours – as we said, it all comes down to building a rapport. But a recommendation is the best way to start selecting an architect for your project. Give us a call on 01483 756575 and we’ll help you find the best architect for your needs.